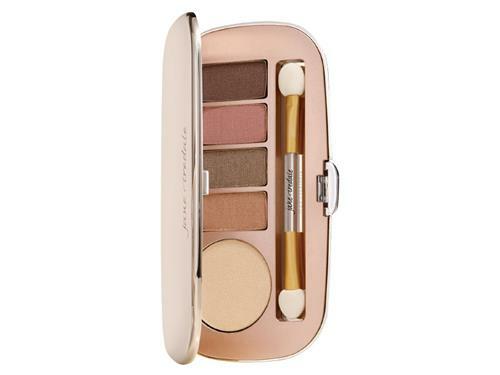 Packaged in a sleek, mirrored, rose gold compact with three generous wells of color, this palette features easily blendable, pressed powder shades. Each kit has three matte shades to sculpt and enhance all your best features. 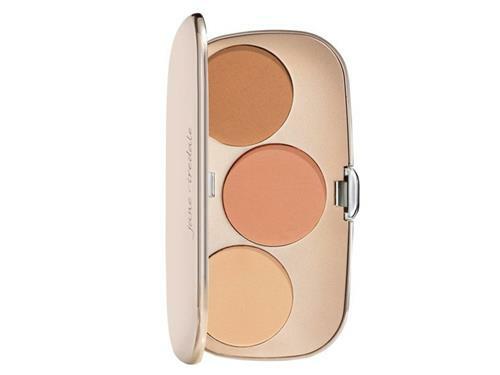 Use the Contour shade to give a natural, shadow-effected, sculpted look. The Highlight shade illuminates and enhances features and the Blush shade adds a lit-from-within finishing touch. 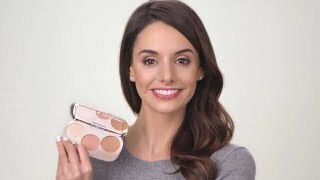 Your contour kit includes an easy-to-follow, illustrated application guide for quick contouring. 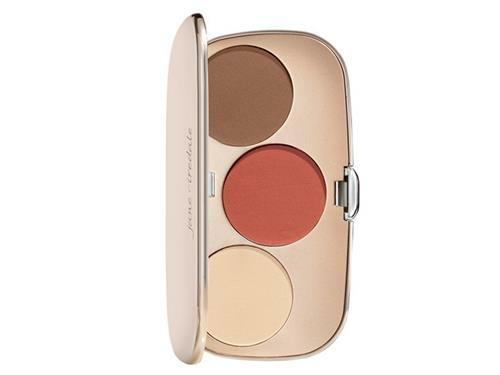 Tell us your thoughts about jane iredale GreatShape Contour Kit and receive 50 rewards points! I'm finding this compact useful for more tasks than advertised. I use the "contour" shade as a bronzer along with the blush, for instance, and the highlighter as an eyeshadow. Good product for travel.